On one of the first rainy, cool nights in Austin in mid-September, after four months of 100-degree heat, we escaped Baudrillard’s world on West 5th Street for our favorite taqueria in South Austin. This would be our third visit to Taqueria “Olivas” on southbound South Congress Avenue in the parking lot of McCoy’s lawnmower repair shop, just south of Ben White, as you enter the recently nicknamed “Lower Congress” (LoCo) neighborhood. 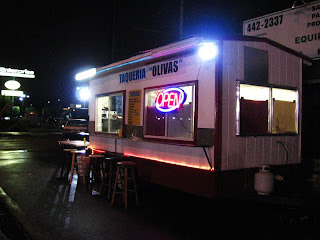 Prior to frequenting Taqueria Olivas, my only other experience was in East Austin about four years ago, before mobile eateries in Austin had become swank. What had first caught our attention about Olivas was the flashing strobe light on the red and white painted truck – it didn’t even have a name for a long time. It was simply called TAQUERIA. Normally, the one (yes, only one) table next to the truck is taken over by a family with children, and we’d sit up on the service counter, but that night the table was free. It’s the perfect place to sit and watch dozens of people drive in and out of Wendy’s across the street. For the first taco, I went with the Fajita de Res (beef). 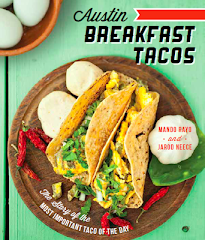 As Goldilocks proclaimed the final porridge – I deemed the beef fajita taco just right. Not too greasy, not too dry, and the seasoning not too salty, but flavorful enough to become addictive. The texture of the meat was tender and non-gristly (gristle is a major meat turn-off for me), and the grilled bell peppers were flavorful and not overcooked. The tortillas weren't necessarily memorable, but I did like the fact that they were firm yet moist, and doubled up to keep from falling apart. Corn only. Flour is not an option. For my second taco, I went with a combination called Capechano, made of bistek (beef fajita minus the bell pepper) and pork chorizo. Both the tacos were generously topped with freshly chopped cilantro and onions, and juicy limes on the side. 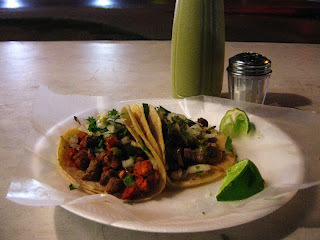 If you want salsa for your tacos, you don’t get a choice of red or green – only the intensely spicy creamy salsa verde. This Undercover Mexican can’t take the heat, so I added only a few tiny drops of salsa. 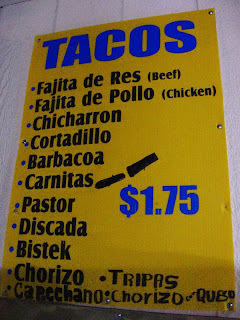 I understand Barbacoa (beef head meat) and Pastor (pork cooked with pineapple), but I do have a difficult time remembering the combination tacos. 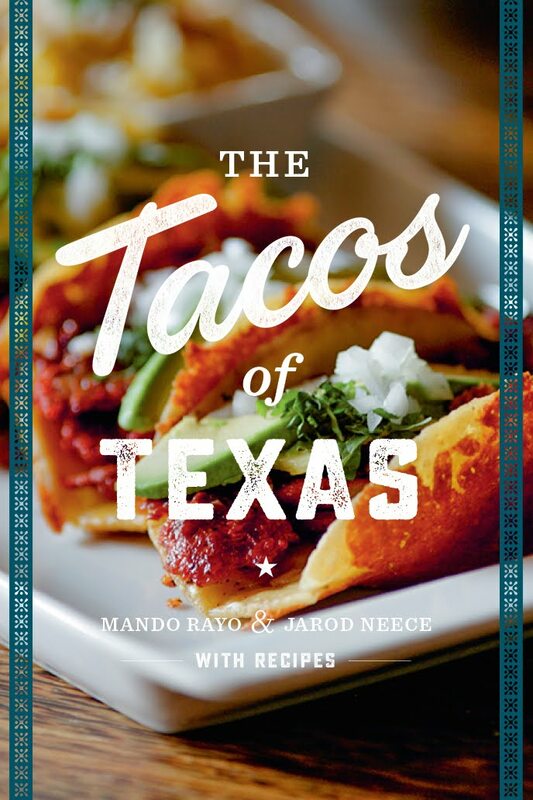 I think I need to carry a taco glossary around with me. Every time I go to Olivas, I always have to ask them to remind me – what again is in the Discada? And the Cortadillo? Which brings me to an interesting mystery. If you look on their menu, you can see that the pre-printed font ends with the menu item Chorizo. Below that, you will see Capecha written in permanent marker, and in less bold writing the final two letters – no. It had been merely Capecha for quite a while, so I had to wonder if my constant questioning prompted them to revise it. Because Capechano sounds strikingly similar to Campachano, refering to people or things from the state of Campeche, Mexico. To add to my confusion, I had understood Discada to also be a combination of bistek and chorizo. I will have to go back and clarify this matter. Need to get my tacos straight. Please watch for an addendum to this blog entry. Or if you have any insight, please let me know. Now, if you’re in the mood for something very greasy and spicy, try the Chicharron taco. While I thoroughly love the dry crunchy chicharrones (with Salsa Valentina! ), which you may know as pork rinds, I’m not a fan of the cooked chicharrones. When they’re dry, they lose their resemblance to pig skin, but once cooked, they’re slimy and chewy. Much how you would expect the texture of cooked skin. I think these might be best preceded by a couple of Tecates and/or a shot of tequila. Olivas is cash only – $1.75 a taco. 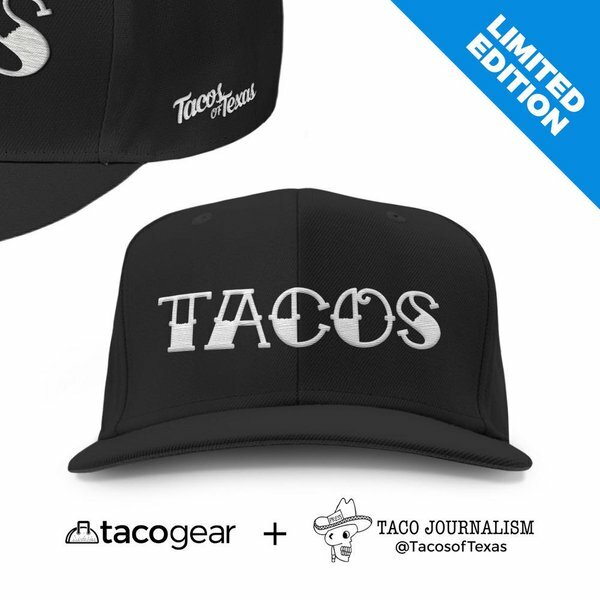 While East Austin taco trucks may be used to seeing white folks, I think South Austin taco trucks are still mostly unchartered territory for the non-Mexican. Although during our most recent visit, after bar-closing time, we did begin to see a harmonic mingling of cultures, as seen in the photograph. The vibe is always super-friendly – both from the owners and the patrons – and you pay after you eat, which seems to me a remnant of the old world and refreshing to know that such level of trust exists. 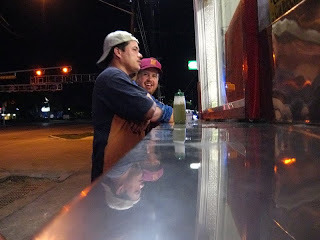 It takes a while to get your tacos, but they want to be sure they serve you the best possible. So see you at Olivas! And don’t let me catch you at Wendy’s. Frank - thanks for reminding me to clarify. Yes, this trailer is only open at night. I've noticed it's generally open by 8 PM.